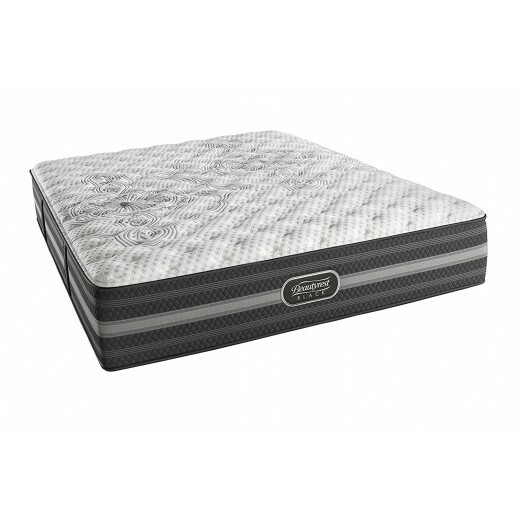 The Beautyrest Black Calista Extra Firm Mattress helps deliver exceptional back support and pressure relief. The unique use of micro diamonds in the foam, pulls heat away from the body to prevent overheating. Multiple layers of specialty functional foam create a durable and temperature controlled touch. A one of a kind cool effect for a more ideal sleep condition. Includes Beautyrest Black Foundation Standard or Low Profile Foundation. Learn more about our Beautyrest Black.